Dako Kolev, P. Eng. Publishes New Book on Rollforming Technology - KOLEV Engineering Inc. The Founder and CEO of KOLEV Engineering Inc. just published his book Rollforming 101: How To Choose The Right Technology. The book is a comprehensive guide on how to choose the right roll forming technology and equipment. 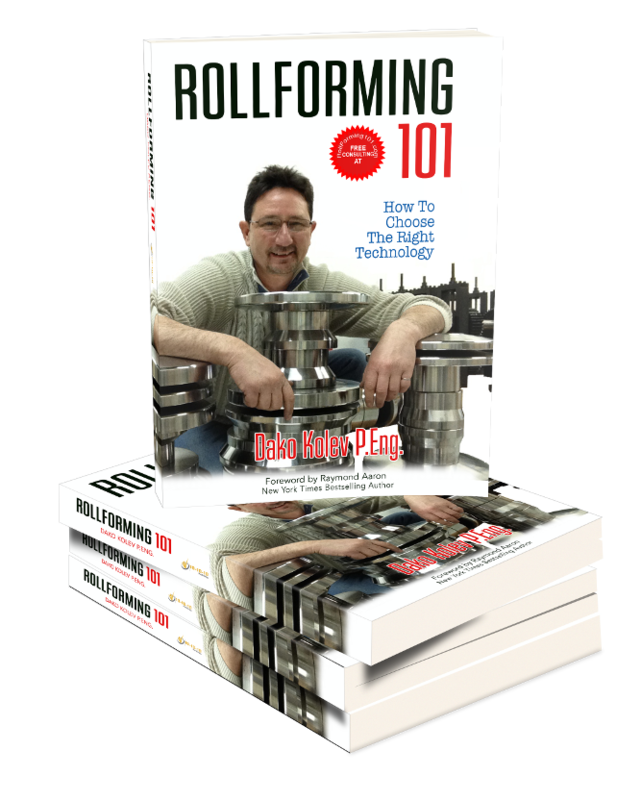 Rollforming 101: How To Choose The Right Technology is available starting today. You can order a copy from Amazon here. If you are a project manager, an engineer, or anyone interested in using roll forming technology and equipment this book will help you develop a better understanding of the rollforming process and rollforming line configuration and tools. Written by Dako Kolev, P. Eng. and an expert in rollforming technology the book Rollforming 101: How To Choose The Right Technology presents a fantastic opportunity for the reader to gain insight and deeper understanding of the fundamental principles of the rollforming technology. Rollforming 101: How To Choose The Right Technology helps the reader answer one very important question: How to select the right technology for my rollforming project and metal fabrication production.